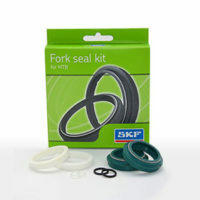 Spokeworks – Makers of SMOOVE Bicycle Lube and Distributor of SKF Seals and White Industries Hubs and Components. 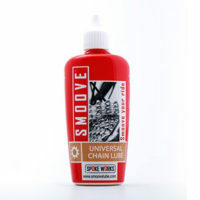 We make the world famous SMOOVE Universal Chain Lube and are the South African Distributor for SKF Seals for MTB and Motorcycles. 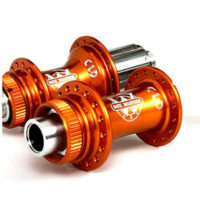 We are also the proud local distributor of White Industries hubs and bicycle components. Spoke Works was founded in 2008, but the dream started nearly 29 years ago in 1988. Like many other South African boys of that time, delivering newspapers before school every morning was a daily chore – and with my luck – I happened to deliver these newsletters on the route with the biggest uphills in my area. Even though the Raleigh bike my father bought me for R500 from Bouwer Broers was reliable, it just wasn’t up to this momentous task. Which is why I spent my weekends taking it apart, trying to figure out how to replace the bearings, adjust the cones and true the wheels (to be honest, I got it wrong most of the time!). Slowly but surely I started to develop a real feel for mechanics, and little did I know, that this would become my business many years later. 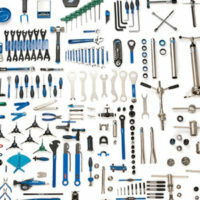 I remember one night as I was sitting at a little table building wheels for the bike shop I was managing at the time. I had this gut feeling that I needed to jump – it was time to leave the nest! Yes, this happened during the 2010 recession, and yes, I was just getting used to my role (and life) as a first-time dad, but still, somehow, I knew that it was time to go solo. I handed in my resignation a couple of weeks later and luckily the rest is now history. Spoke Works has changed shape over the past years and now focusses only on what we do best – manufacturing the best chain lube in the world; and distributing a couple of imported brands that hold the same high standards that we stand for. Take some time to look around and let us know if there is anything that we can help with here.